Update: 1.3.3 version is ready. This update contains some important changes. Support for iOS 6 Facebook framework. All user must relogin Facebook. 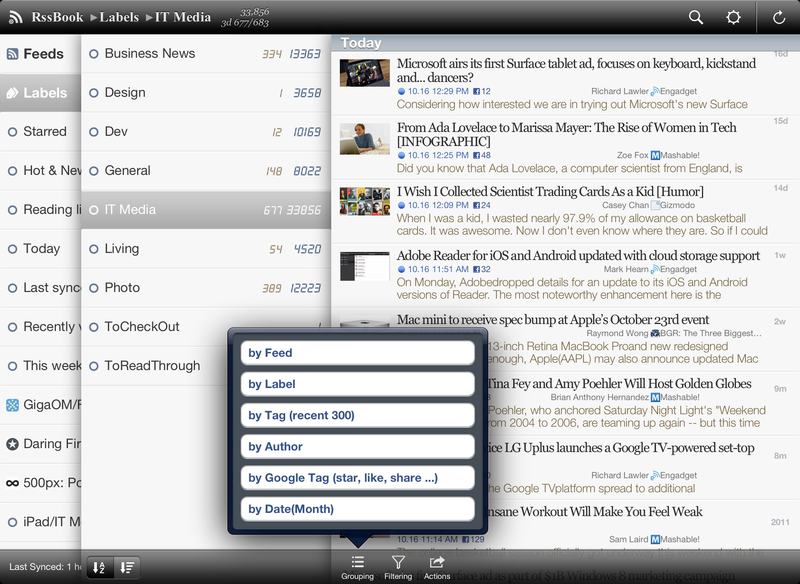 Deprecated ‘Google Reader Share’ features are removed(including likes,friends). Previous ‘notes’ and ‘people you follow’ folder(if any) move to feed list and will not update any more. Preserve grouping/filtering status between app launch(Only applied to first children of home/feeds/labels folder). Share by Email attach article content.